Mary Collins is widely respected Early Dance specialist. She works with dance, theatre and TV companies as an adviser, choreographer, dancer and actress and tours regularly giving master-classes, lecture-recitals and workshops. A faculty member of Aestas Musica in Croatia and, for 26 years, The Ringve International Summer Course in Norway, she regularly works with many of the world’s leading exponents of early music. Mary revives original choreography and gesture for historical performance. Notable productions include the ‘Bourgeois Gentilhomme’ at the National Theatre of Croatia in Zagreb (awarded the Croatian Grand Prix Award 2009/10) and the London Handel Festival’s ‘Il Pastor Fido’ in 2010. Credits include works by Purcell, Blow, Charpentier, Cavalieri, Rebel, Rameau and Gluck. As a dancer, Mary performs widely She appeared as principal dancer in the historic first baroque production in Brazil, the Lully divertissement ‘Les Arts Reunis’, premiered in Sao Paolo and has recently begun working with the Irish Baroque Orchestra in Dublin. [Forthcoming concerts in 2015 include the York Early Music Festival, the Tilford Bach Festival and the East Cork Early Music Festival. 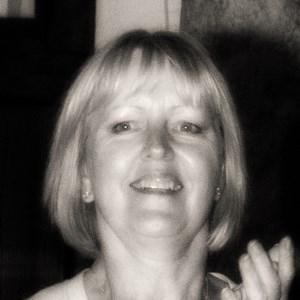 Mary teaches at the Royal Academy of Music and Royal College of Music in London, also at the University of Birmingham. Outside the UK she has also given courses for ballet companies, drama schools and universities in Germany, Norway, Sweden, South Korea, Romania, USA and Brazil. In Romania, Mary also inspired and helped create the Orange Young Musician Award to find and promote young musical talent throughout the country. She has made several programmes on Early Dance and its music for TV Cultural. Education work spans every age group and includes projects for the Orchestra of the Age of Enlightenment, The National Trust, English Heritage and The British Museum. Her resource book for teachers, ‘The Art that All Other Arts Do Approve’, is on the Recommended Reading List in the UK and a new guide for musicians is planned for 2016. Mary is currently researching 18thc Theatre and its Anglo-Irish connections.